California can be divided into five large wine regions, Northern California Coast, Central California Coast, Southern California, Sierra Nevada and Central Valley. Northern California Coast: this is where the famous sequoia trees can be found; a beautiful region consisting of trees, rivers, hills, shoreline, surf and bountiful vineyards. This region includes the wine areas of Mendocino, Lake County, Sonoma, Napa and Carneros. Amongst all these wine areas you will find almost 800 Californian wineries, and that’s not even counting the grape growers. Central California Coast: This region stretches from San Francisco, via Monterey to Santa Barbara and you can find almost 300 wineries in the wine regions of Livermore Valley, Santa Cruz Mountains, Monterey County, Paso Robles, San Luis Obispo County and Santa Barbara County. These regions abound with Californian wine merchants. Southern California: famous for sunshine and beach, few people know of the wine industry in this area. Southern California stretches from Los Angeles south to San Diego, and you will find the wine region Temecula here, with 20 wineries. Sierra Nevada: also known as the Sierra Foothills, this area is a haven for those looking for tourists looking for accommodation, thanks to the historic sites, outdoor recreation and charming bed and breakfast inns. Let’s not forget the 70 wineries located at Amador, Calaveras and El Dorado. Californian wine tasting is also on offer. Central Valley: the agricultural heartland, you can find 50 Californian wineries and 750 grape growers! Wine grapes are grown in the two main areas of Lodi and the San Joaquin Valley. The Central Valley is situated between the coastal foothills and the western slopes of the Sierra Nevada mountain range. The most popular of all these regions must be the Napa Valley wine region. 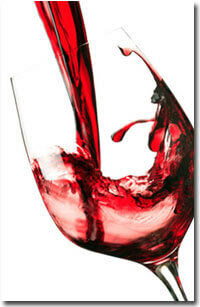 Being the largest producer of wine, this region produces world class wines of superb quality. It is also a very popular tourist attraction. The Napa Valley is distinguished by the extraordinary range of appellations and wine styles, ranging from rich reds with soft tannins and intense fruit, to spicy Zinfandels and rich creamy Chardonnays.